Ultra Slim, New Mid size Design, Progressive Scan, JPEG, MP3 Playback, Multi Disc Resume, Multi Brand TV remote, Energy Star.Connection: 1 x Component video output ( RCA phono x 3 ) - Rear, 1 x Composite video output ( RCA phono ) - Rear, 1 x Digital audio output (coaxial) ( RCA phono ) – Rear.what's in the box: Sony DVP-SR210P Progressive Scan DVD Player, A/V Cable, 2 x AA Batteries, Remote Control (RMT-D197A), 1-Year Parts & 90-Day Labor Warranty. CD, MP3 and JPEG Playback. 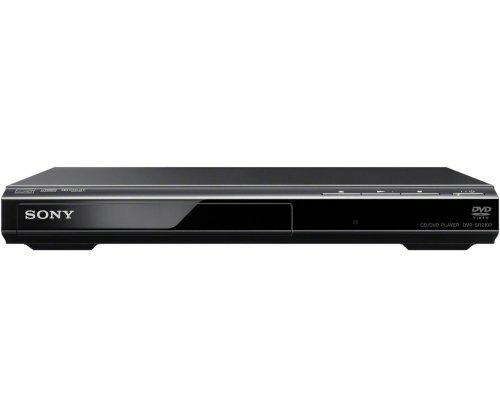 DVD/DVD-RW/DVD-R/DVD+RW/DVD+R/DVD+R DL/-R DLPlayback. Note: This product does not have Ethernet or HDMI ports.